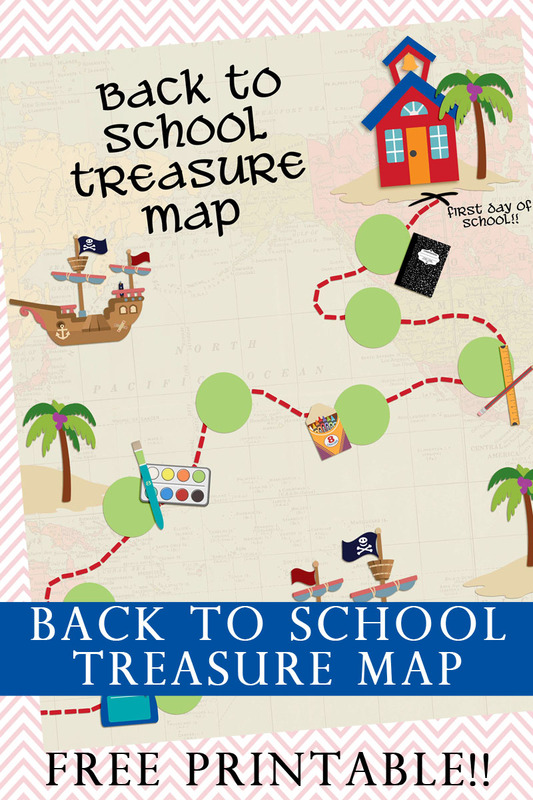 Grab this FREE Back To School Treasure Map Printable and have some fun with your kids getting ready for another school year! It’s July already, can you believe it? My youngest will soon be joining the ranks of school-aged children and he is so excited! I, on the other hand, am struggling a little. I keep looking at him wondering what in the world happened to my baby? Five years goes by way too fast. Admittedly, I am looking forward to having both my kids in school, though kindergarten is only half day. So far, neither one of my kids is excited for school but I’m hoping to change that. 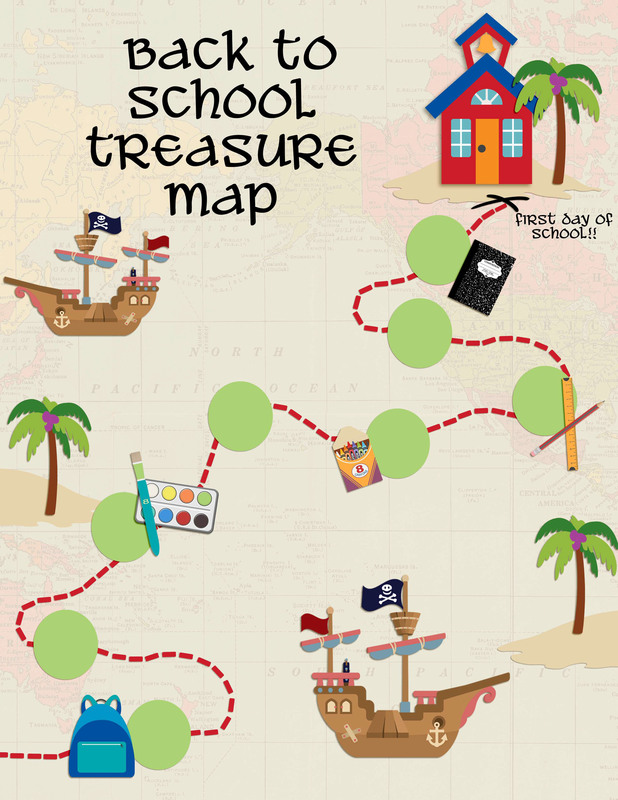 So I created a fun Back to School Treasure Map to add some fun! My kids draw maps all the time, and I often hear him pretending to be a secret agent or a pirate following it to really special treasure. Jewelry, key chains, coins, and anything else remotely shiny ends up missing as it is added to his hoard of buried goodies. I love the imagination of a five year old! I thought it would be fun to create a map for him as we check off things on our list of back to school “to dos”. I’m still planning on buying him school supplies, new clothes, and taking pictures. This map is hanging up in his room and we’ll check things off as we go along. I also printed an extra one for him to play with. He thought it was pretty cool and even crumpled it up to give it an aged look. Just like his momma! I personalized ours by adding text in Photoshop. You could easily do the same or print it off and write it in for each of your kids. They will have so much fun checking things off to help them get to the buried treasure, aka school! I’m not sure how many kids will end up thinking of that as treasure once school actually starts, but at least it’s exciting in the beginning. 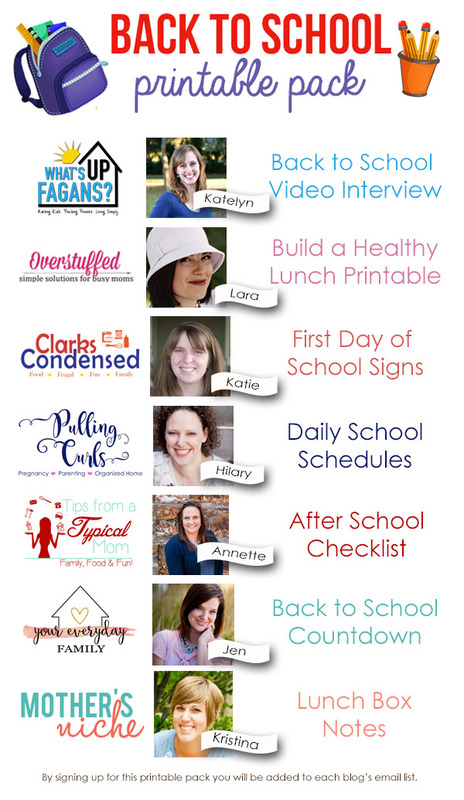 Join some of my other blogging besties as they share some amazing Back-to-School in this FREE printable pack! 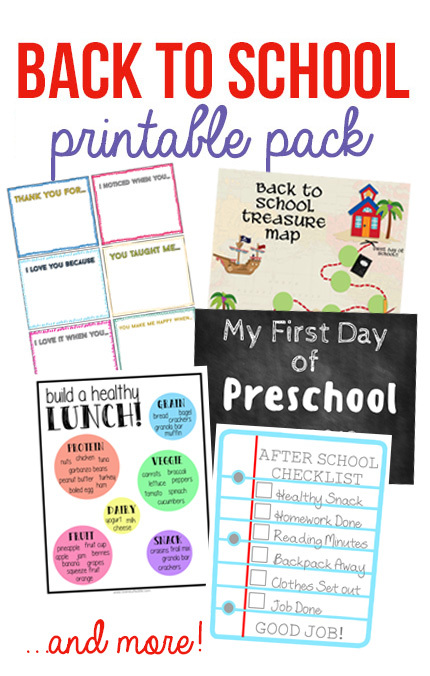 Hurry and sign up to get your printables before August 20 because that’s when the pack expires (after that, you can download mine separately).